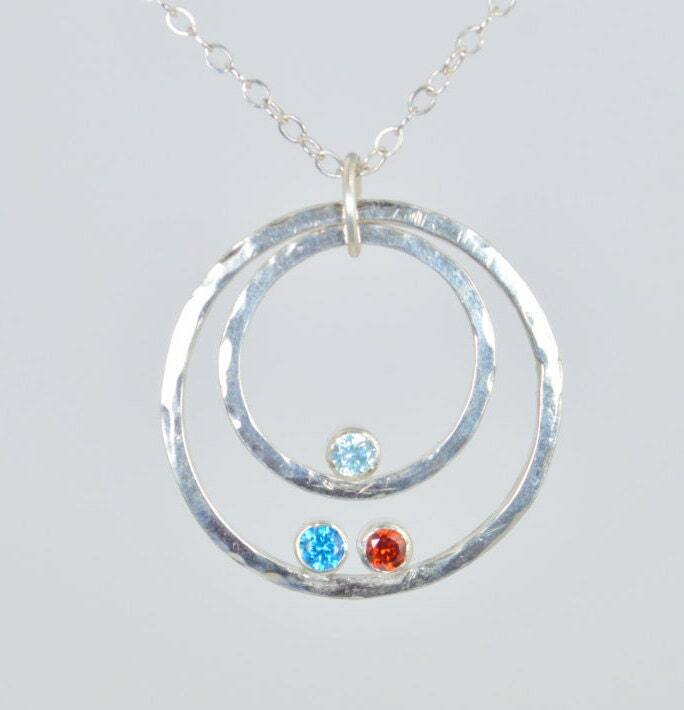 Minimal Rustic Mother Necklace with a flash of sparkle & color. We completely fabricate the pendant in our studio. The sterling silver circles are hammered for interest. The 3mm stones are tube set and nestled inside the circle. 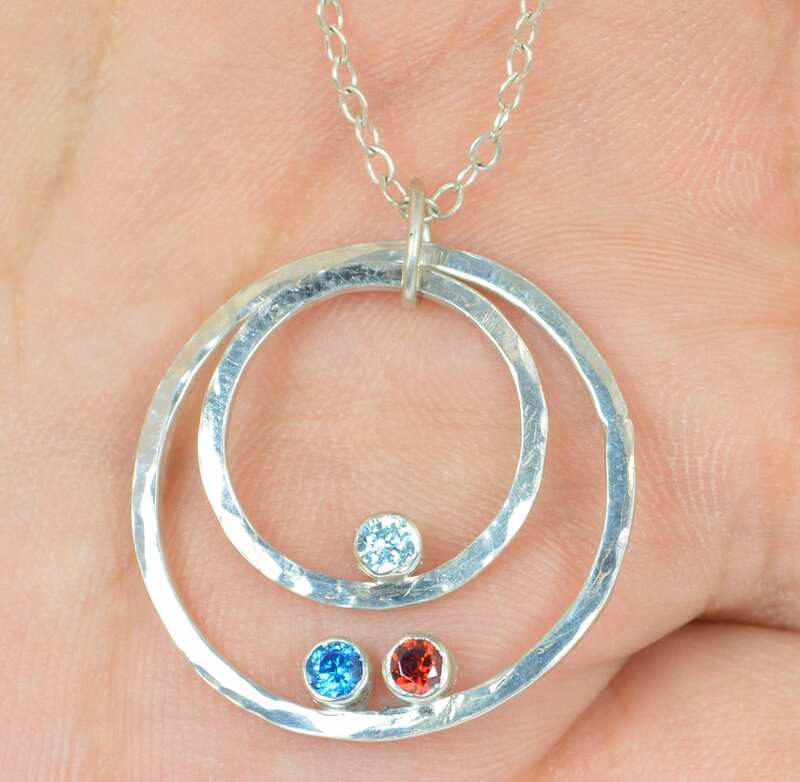 You can choose between 2 - 9 birthstones for this pendant and have them arranged with up to 3 in the inner circle and 6 in the outer. 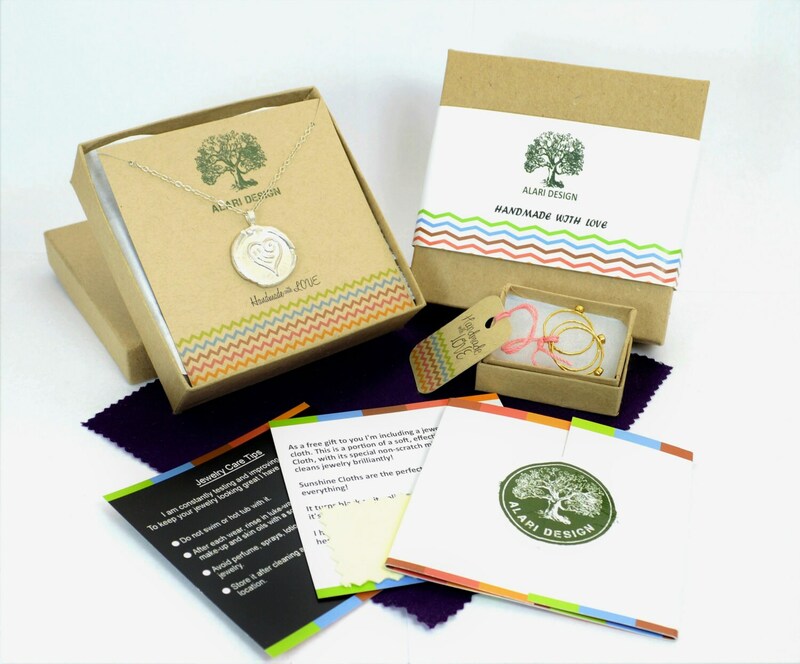 Put Mom and Dad, or a single parent birthstone(s) in the inner circle and the children birthstone(s) in the outer circle. 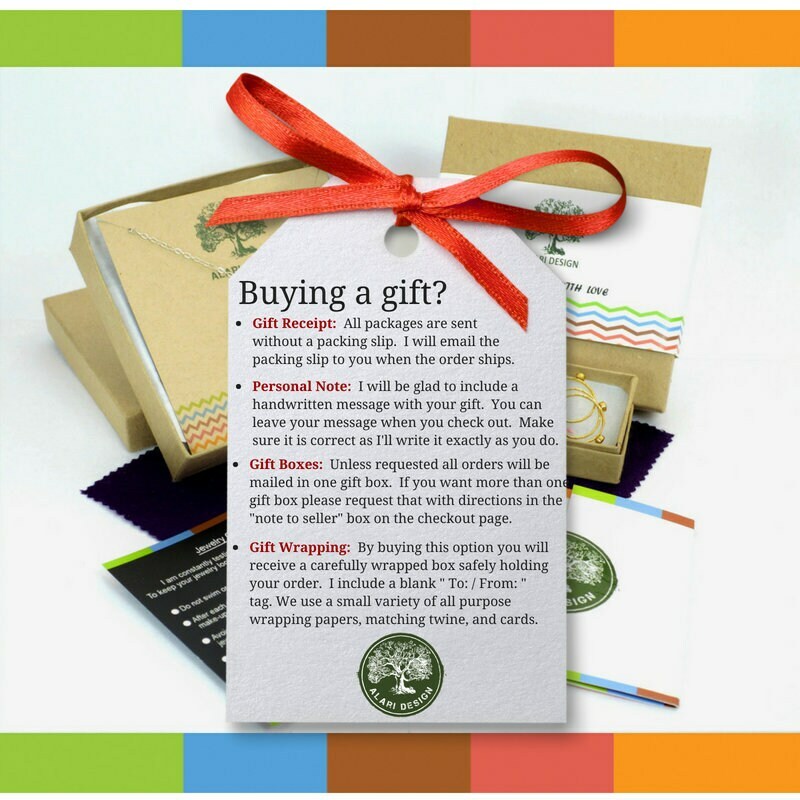 This is the perfect gift for a mother, sister, aunt, grandmother. Natural Stones are available send me a convo for prices. 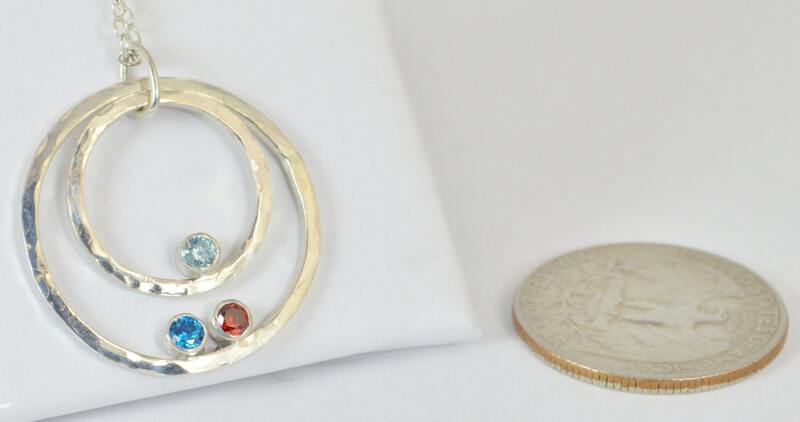 • Order up to nine 3mm birthstones for this pendant. Was a gift for my sister. She loved it -thought it was beautiful! I thought it turned out great too. Thanks!! Beautiful piece...cannot wait to give it and see their face. Absolutely beautiful quality and very quickly done!